This is it, our excitement is an understatement. We’re super happy to announce the video for ‘MASTER OF MY MONSTER’ is available to watch now. It’s cool, fresh, it’s funky….. This is such a cool video and track you’ll be gripped by its awesomeness instantly. #MOMM is available to download May 1st. ‘Master Of My Monster’ produced by ‘DATA CHILD’ will be one of those tracks that you’ll go back to over and over again. So snuggle ‘Master Of My Monster’ into your playlist. Last year we featured ‘Corrina Taylor’ for her video / song ‘Always Coming Back‘ and since then her journey has been a busy yet exciting one. She’s made two self promotion videos using her favourite ‘Post-It-Notes’ the first was filmed in Paris and then Amsterdam showing that hands on the old fashioned way still works and it’s not all about the internet. Recently Corrina was invited to do a speech for ‘TEDx talks‘ the topic was a very personal story about ‘Perceptions of an Elf‘ that’s not all, she’s had her songs played on the radio and recently performed live at BBC INTRODUCING singing 2 of her songs ‘HOPEFUL ROMANTIC’ and ‘ALL OF THE BROKEN HEARTS STILL BEAT’ oh and newspaper / magazine articles. If you’re looking for inspiration for life or you’re looking for a way to believe in the dreams you have, Corrina’s a great example that’ll show you how following your dreams coupled with dedication really works. 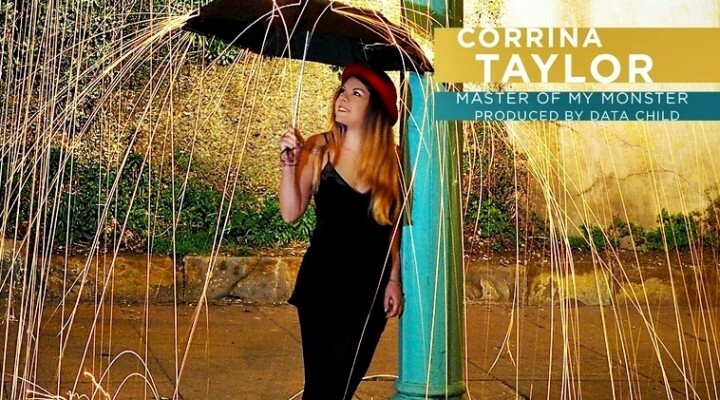 Corrina’s passion radiates in everything she’s involved with and ‘Master Of My Monster‘ is no exception, it’s a true testament that great things come from great ideas. When we first heard this song instantly it sounded like a hit record. The hook is so catchy it’ll ring in your ears for hours and the song will lift you up to a high where you’ll find that awesome feel-good factor. The message behind the song is quite a personal story for Corrina however the lyrics can speak to you so directly, it can relate to anything and actually inspire you to be your own master of your own little monsters. Enjoy the video, all media links below. This entry was posted in Artist Of The Month, Reviews and tagged Corrina Taylor, Data Child, Master Of My Monster, Provoke Films. Bookmark the permalink.